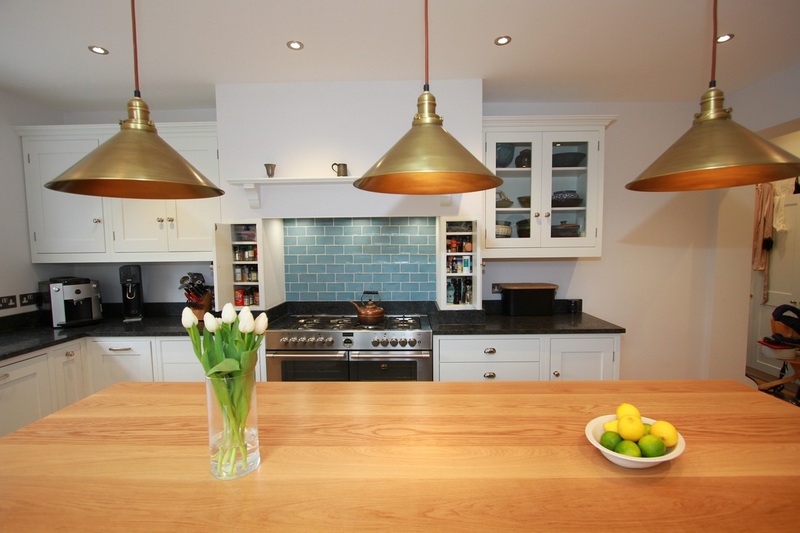 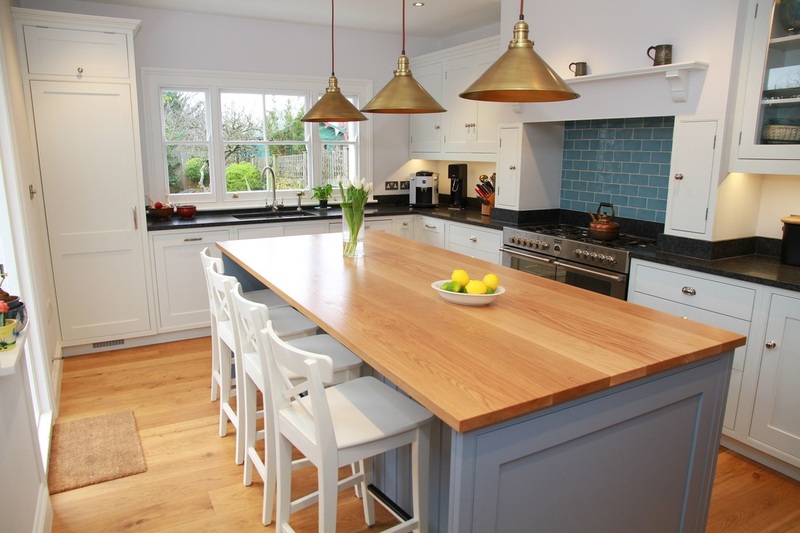 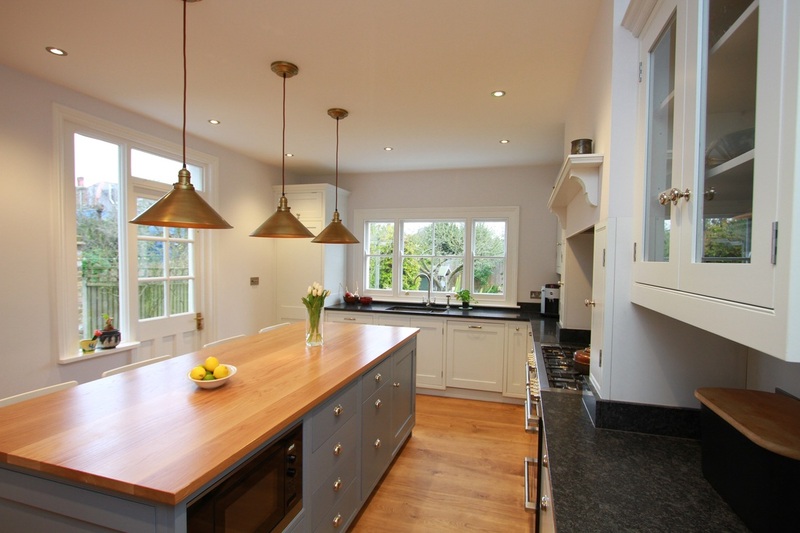 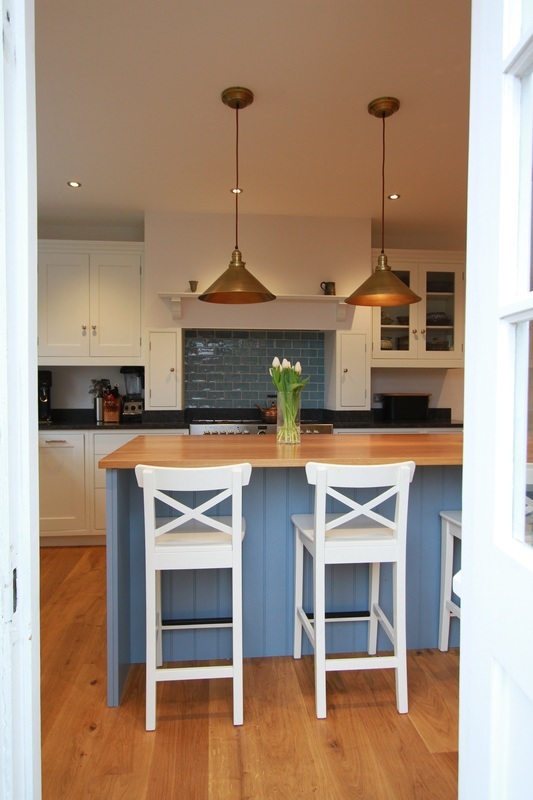 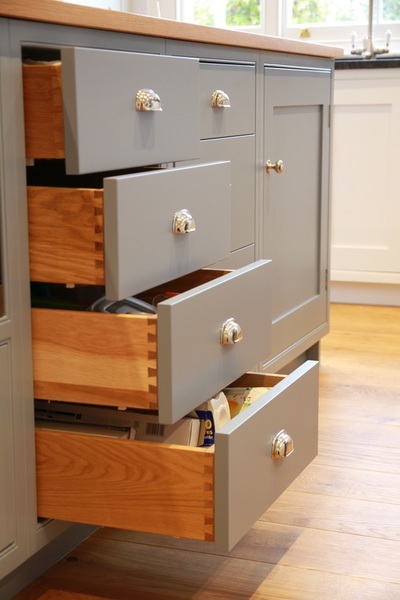 This kitchen design has a generous island, ideal for this large and busy family. 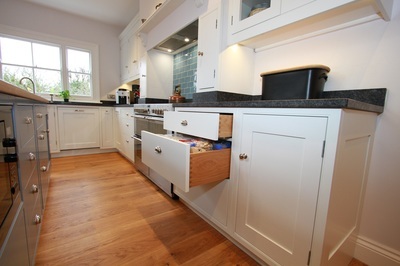 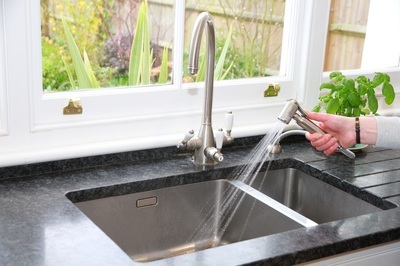 The Oak worktop on the island is warming alongside the granite worktop on the facing sink and hob run. 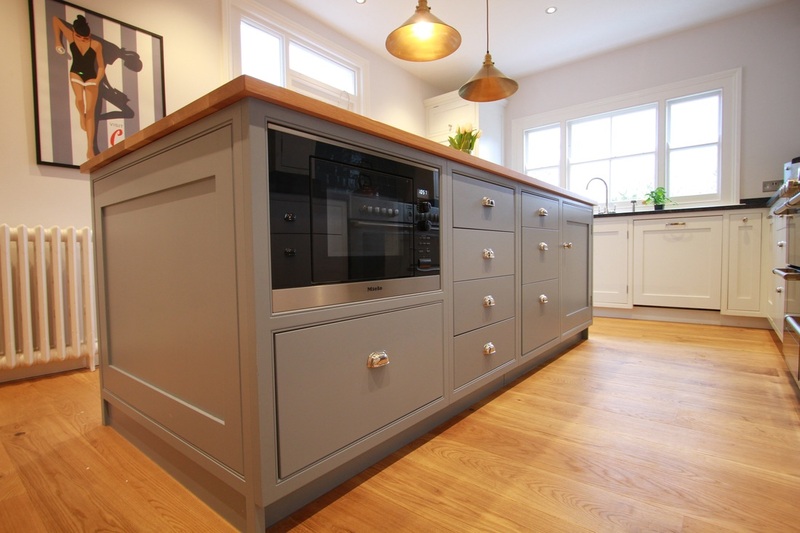 This scheme is used by our designers to bring different tones and colour into a room, maintaining a modern aesthetic in a family and homely space. The Cockbead detail on the door-frame is a skilled feature, which works effectively with the traditional Stoves cooker.